Manchester Airport is easily accessible 24 hours a day from anywhere in the UK by public and private transport. Located on the M56, Junction 5, it provides direct links to the M6 and M60, making travel from the North or South very simple. You have a wide range of Public Transport options available to you which bring you right to the Airport, including Trains, Taxis and Local Buses. Book a National Express coach and be dropped off direct to the terminal door! You can often make big savings when you research which method of travel you would like to use and book your tickets online. Discounts are usually available to those who book early, so it is definitely worth comparing your options and booking sooner rather than later. You can then use what you’ve saved for an extra Duty Free treat! Travelling to Manchester by car is a great option, and usually the quickest. If you choose to drive your own car, there are plenty of airport parking options to choose; from long and short stay, to Meet and Greet and Valet services, there is an option for everyones budget. Manchester Airport is easily accessible by car from the M56 which is connected to the whole country. You can find out much more about directions, and view interactive transportation and terminal maps by visiting our Manchester Maps & Directions page. 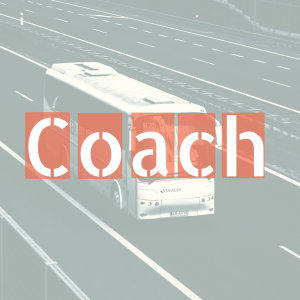 National Express runs an extensive range of excellent coach services to and from all 3 terminals at Manchester Airport covering the whole of the UK. 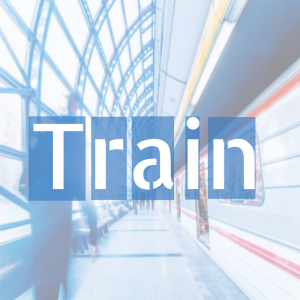 Purchase your tickets online for a stress free commute! Manchester Airport railway station is in the heart of the airport complex with Skylinks connecting the three terminals to the upper level of the railway station. There are regular connections to the Airport from Manchester Piccadilly and Preston. From Monday to Saturday 8-10 trains an hour run between the Airport and Manchester Piccadilly during the day with four per hour on Sundays. Trains from Preston run less frequently, with 2-3 per hour Monday-Sunday. Both stations run 2 or 3 services over night. 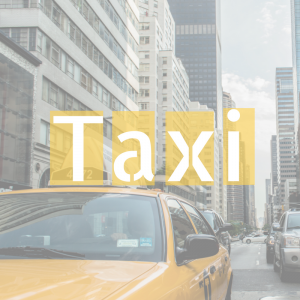 Taxis are a great, hassle-free and convenient way to get to the airport. There are over 500 taxi companies serving Manchester airport and the surrounding areas, many of which specialise in airport taxis and can offer great rates. Find cheap airport taxis near you by checking out our Manchester airport Taxi Listings. Skyline buses are provided by a partnership between Manchester Airport and the bus operators Stagecoach Manchester,Trent and Arriva North West. All Skyline buses run every half-hour to Manchester Airport from very early in the morning to late at night.There is also now a 24 hour bus service operating to and from the Manchester Airport local bus network. For bus times and routes contact the Greater Manchester Passenger Transport Executive. The Styal Shuttle 200 provides a link between Manchester Airport and Wilmslow, Moss Nook, Styal Village and the National Trust’s Quarry Bank Mill.